Supplying fenders and buoys since 1980. Innovative products and services for water access and obstacle race courses. Fenders and Buoys for water sports competitions, industrial and leisure applications. Outdoor sport events supply and installation of inflatable start / finish arches and race course marks. Modular Pontoon sales and hire to make access to the water safe and easy for any event. 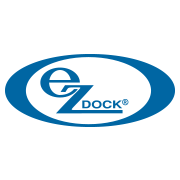 Welcome to Dockydock– Foam filled self contained on-water docking system - the most cost effective way to dramatically reduce your maintenance and running costs for your boat. Wet -docking your boat at water level, keeping it in excellent condition, with a hull that’s virtually free of marine growth. 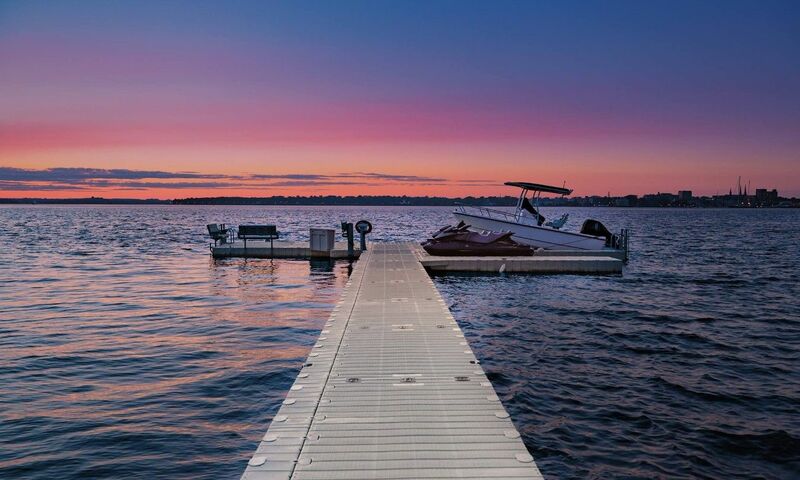 As well as the only way to cap off your perfect day on the water. with a perfect docking, first time, every time. We could either bore you to death with reams of technical data and a long winded sales spiel, or you can click on the link and after just a few minutes will be left wondering why didn’t someone come up with this years ago. 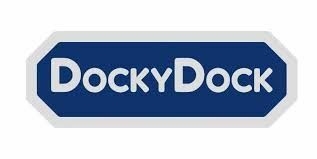 DockyDock also provides an alternative to toxic antifoul products so helping in marine life conservation. DockyDock is easy to install and relocate. You will save money on maintenance by keeping your boat’s legs, shafts and propellers virtually free of marine growth. You will be helping the environment, no more toxic antifoul paint. Return on investment - you do the maths - we suggest 2/3 years depending upon boat size and maintenance regime. Starting from £2000 including UK Delivery and Installation. > TomBuoys Ltd is an online supplier of innovative marine brands that offer a better boating experience for both the leisure and commercial customer. . If you do not see exactly what you need, please get in contact as we will source it for you if possible. We welcome enquires from the marine industry, clubs and organisations as well as private individuals. We cater from a single fender or buoy to any size project based in the UK or worldwide. This page is secured by strong encryption SSL, built into your web browser in combination with a security certificate on our server. Your private information is secure. Klarna Checkout is a complete and integrated payment solution - the simplest and fastest way for you to buy online. You use only top-of-mind information to shop, there's no registration needed & no login or passwords. You have 14 days to pay, meaning you won't have to type in their card or bank details at the point of purchase and can safely get the goods home before you pay.